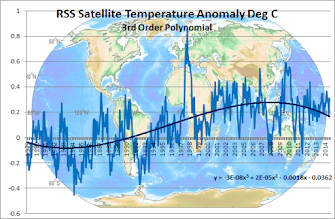 Obama said after his re-election that “What we do know is the temperature around the globe is increasing faster than was predicted even 10 years ago.” . 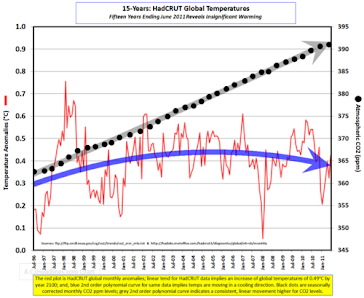 This statement was undeniably false as there has been no warming for nearly 18 years which is acknowledged now by even the most rabid warmists. Ban Ki Moon's effort to beat the global warming drum via the UN has evoked very little interest from major leaders other than Obama with China,India ,Germany,Russia and Australia neglecting to send their leaders. A climate conference without China and India is a joke. Dear Mr General Secretary: If you really wish to cut back on CO2 emissions, then you should NOT jet around the globe in your UN jet to supposedly see climate change with your own eyes. Perhaps you have heard that the Pacific Atolls are living corals that are growing along with sea level rise. The glaciers already melted before, 1000 years ago during the Medieval Warm Period when it was as warm as today. Currently the Sahel desert regions are not expanding as you claim, rather they are becoming greener. Moreover the rainforests of Brazil are threatened foremost by deforestation thanks to palm oil and biofuels. That is something to be really worried about, and not about climate change. As opposed to the UN General Secretary, many world leaders have obviously realized that the science is overheated. An increasing number of scientists are distancing themselves explicitly from the catastrophe mindset. After 16 years of no global warming, the basis for trust between policymaking and the IPCC scientists is sustainably disturbed. We believed you and you’ve disappointed us, the scathed politicians bemoan behind closed doors. So it is little surprise that hardly anyone has the desire to attend the Climate Summit Circus. Already in May, 2014, German Chancellor Angela Merkel respectfully declined -she had other more important appointments. What could they possibly be about? Even today there is still no entry in Merkel’s Online appointment book for the 23rd of September. Perhaps an appointment with the hairdresser that can no longer be put off? Crochet evening with good friends? Let’s keep it a surprise for now.